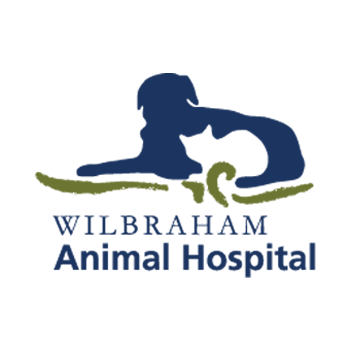 Let us introduce our team of efficient and professional staff at Wilbraham Animal Hospital. Being practitioners of progressive medicine, we use state-of-the-art medical treatments and equipment for all pet patients. The pets seem to like them, too! 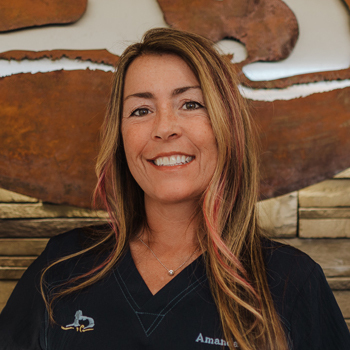 Amy has been managing Wilbraham Animal Hospital since 1999. 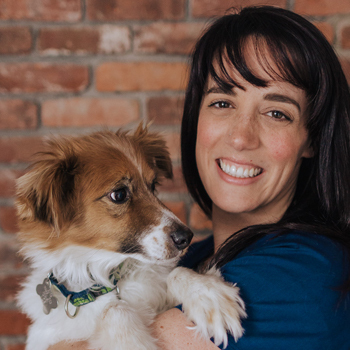 Although her career did not start in the veterinary community, she grew up in this wonderful, giving environment. Her father was Dr. Richard Hersman and she was joined by her brother, Dr. Andrew Hersman, in 2005. She graduated from Lafayette College with a BA in International Affairs. 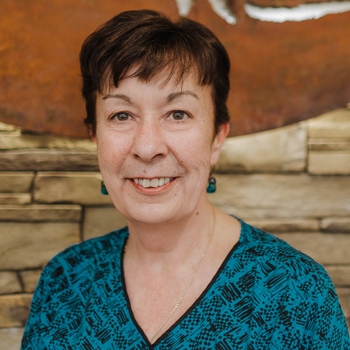 She went on to pursue her graduate degree at Central Connecticut State University, where she earned her Masters of Science in Organizational Communication. 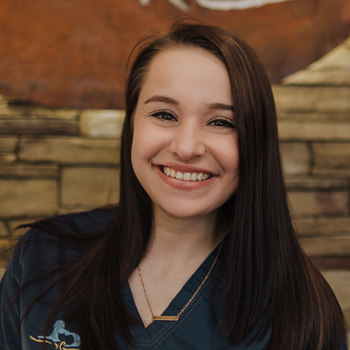 Although she loves the animals that she meets every day, she focuses on the people that bring their beloved pets to Wilbraham Animal Hospital! Wow, are we lucky to have Becky! Becky graduated from Quinnipiac College with a B.S. in Veterinary Technology. She was also employed at Angell Animal Medical Center- WNE for 8 years. She transitioned to our team with such grace and style. Her compassion and professionalism is a great addition to our team. It is a tribute to Becky’s abilities when Angell clients are seeking and following her to her new place of employment. We are proud to have her at WAH! 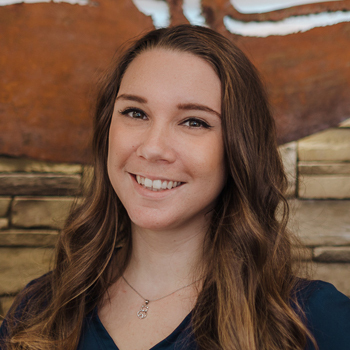 Bethany is a fabulous addition to our team! 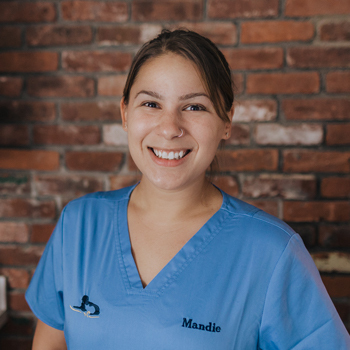 She comes to us from a Connecticut veterinary hospital with a multitude of talent. 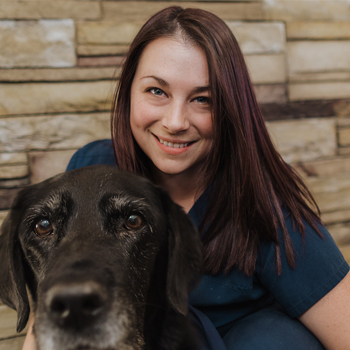 She is a Licensed Veterinary Technician and an expert in client education. We don’t know how we got so lucky. But, we are not going to question it either. Come in and meet Bethany. You’ll be glad you did! 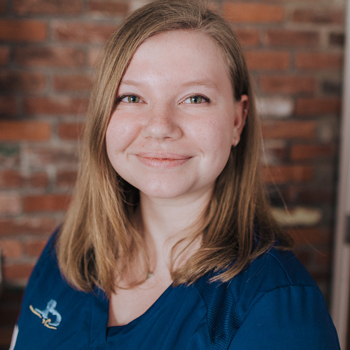 Cait graduated from Holyoke Community College in 2010 and boy are we happy she’s joined our crew! Every shift, Cait joins us with her magnetic personality and her love of all animals. In her spare time, Cait enjoys being a foster mom to any animal that needs spare snuggles and has no fear of dealing with special needs cases. Cait is most comfortable with a baby kitty in one hand and a bottle of formula in the other. We still are trying to figure out how it’s possible for so much energy to be in one human being! If you don’t witness Hailley zipping from one room to the next, there’s a good chance you’ll at least hear her contagious laughter from around the corner. 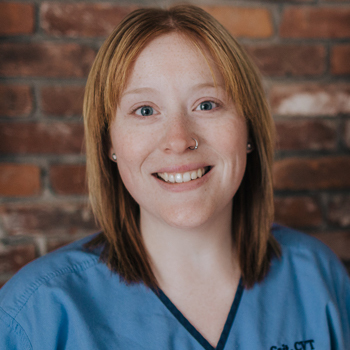 Hailley has a Bachelors in Biology from Bridgewater State and successfully completed the Veterinary Technician program at Holyoke Community College and earned her certification. Hailley is ready, willing, and able to absorb any bits of knowledge we can throw her way. It is nearly impossible to leave a conversation with Hailley without a smile on your face. WAH is very excited to have Johannah McCarthy back working with us again. She returned to us after spending time working at a large 24-hour veterinary hospital in Washington, DC. 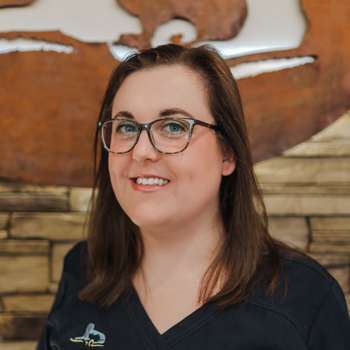 Johannah brought all of her knowledge and experience working with specialty doctors and is now able to share that knowledge with all of our patients. 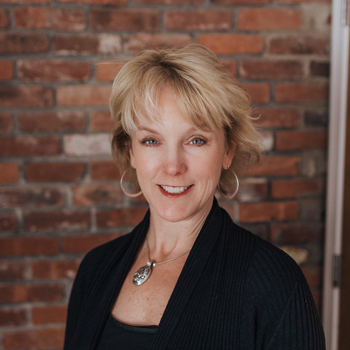 What we love most about Johannah is her uncanny sense of humor and her amazing ability to connect and build personal relationships with all of our clients. In her free time Johannah enjoys knitting and crocheting and is a movie/television fanatic. Her favorite part about working at WAH is seeing how appreciative and happy clients are when they leave the hospital. Wow! I couldn’t believe it when I met Kara. Someone with our ideals– fun-loving and determined to protect the well-being of ALL animals. Kara joins us after spending 8 1/2 years rescuing and treating animals at the M.S.P.C.A. She still spends her time volunteering at T.J. O’Connor. We simply adore her, and so will you! There is a chance at this point that Liz has spent more hours at Wilbraham Animal Hospital than at her own house. Working with Dr. Rowe for 18 years, we were excited to inherit Liz when we moved in. There is nothing like seeing Liz’s smiling face at the desk when you come through the front doors! 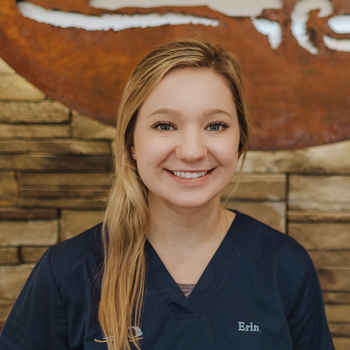 Liz graduated from Becker Junior College with a degree in Veterinary Technology and has loved working with animals ever since. 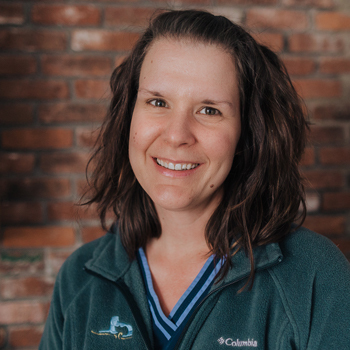 When Liz can find a quiet moment for herself, she enjoys playing the piano, hiking, and kayaking. 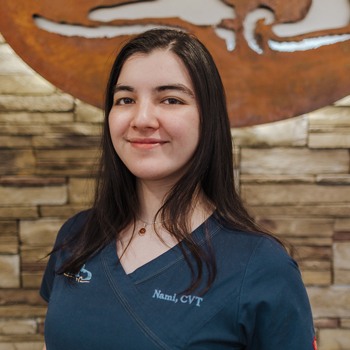 Nami, Certified Veterinary Technician. Certifiably Fantastic! Smart, kind, sweet, sensitive are just a few of the words that come to mind when you meet her. Just like her colleagues, Nami truly loves her chosen profession. We all have a passion for animals- that’s why we are here. Nami, ALSO, has a passion for knowledge and science. Put those two together and you have a winning combination. She is an important team player in your pet’s health and well-being! 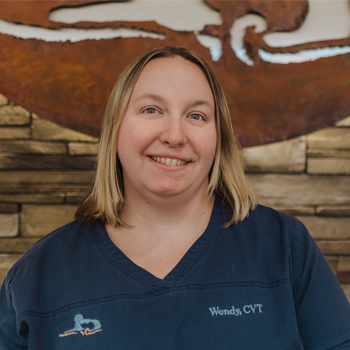 Wendy is a steadfast technician that joined us to continue a decade-long journey with Dr. Lynn Dgetluck. Wendy graduated Bay Path College in 2008 with a Bachelors in Biology and minored in Math and Chemistry. 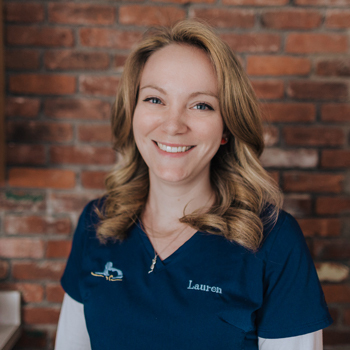 After completing Holyoke Community College in 2010, she became a Certified Veterinary Technician in 2011. Wendy’s true grit shines through in everything that she encounters. She faces challenges with a level head and a big smile!